Looking for an easy way to play FLV (Flash Video) files downloaded from YouTube and other video sites? Get this Free FLV Video Player. What's more, FreeSmith Video Player is the ideal Flash Video Player which supports both local and internet streaming content, has full screen mode and, best of all, it’s FREE. Useful freeware with visualized interface absolutely bring users great convenience while playing FLV files. Besides, this Flash Video Player an all-in-one media player to play videos, music, online videos and even DVD, blu-ray disc movies free for everyone. More importantly, newbie can use this free FLV Video Player at ease. This Free FLV Player gives an impressive video and sound quality with an easy navigation interface through a context menu. What This Free FLV Player Can Do for You? Free FLV Player is a free multimedia player software capable of reading most video and audio formats. FreeSmith Video Player is not only a video and music player, but also a smart Free FLV Player which allows you to watch blu-ray disc freely. Not all video players can support that, but Free FLV Player did it! Support video formats: 3gp, 3g2, asf,avi, amv, dvr-ms, divx, dv, dat, dvr, f4v, flv, mp4, mpe, mgeg2, mpg, mkv, mts, m2ts, mpeg4, mov, m1v, mpv, m2v, ogv, ogm, qt, rm, rmvb, swf, swf, ts, ts, tod, tp, vob, wmv and etc. Support Audio Formats: ape, flac, m4a, mp3, ogg, ra, wav, wma, aac. Support DVD Discs: DVD, Blu-ray disc. You can customize the video as your convenience with this Free FLV Player. Personalize the screen length, frame size, contrast, saturation, brightness in one panel. The controls only become visiable only when you hover the mouse over the video screen near the top. More effects can be set by dropping down the setting folder. With this Free Free FLV Player, you need nothing more! The user-friendly interface and well organized options offers you cozy feeling when enjoying your videos or movies with Free FLV Player. No technology knowledge required to operate this free all-in-one media player. So what are waiting for? Just download this Free FLV Player to enjoy all funny movies or music freely! Why Choose Free FLV Player? Free FLV Player aims to develop a fully convenient yet useful, free and clean software for you. So it is! What People Say About This Free FLV Player? "You do such a great job to release this useful program which is completely free! I will recommend to all the friends who need video or DVD Player." "Hello! I absolutely love your Free Video Player! After trying a handful of free video players, I've found yours to not only do the best job, but is also incredibly user-friendly and very verstatile as to the range of video formats and DVD even Blu-ray DVD." "hi! dear I am a regular user of your fantastic free video player, it is just an appreciation mail, thanks for the free player I think it is a fantastic video player for Windows to have." 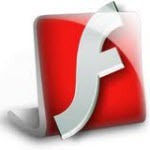 Flash Video is a container file format used to deliver video over the Internet using Adobe Flash Player versions 6–11. Flash Video content may also be embedded within SWF files. There are two different video file formats known as Flash Video: FLV and F4V. The audio and video data within FLV files are encoded in the same manner as they are within SWF files. The latter F4V file format is based on the ISO base media file format and is starting with Flash Player 9 update 3. Both formats are supported in Adobe Flash Player and currently developed by Adobe Systems. FLV was originally developed by Macromedia. Flash Video has been accepted as the default online video format by many sites. Notable users of it include YouTube, Hulu, VEVO, Yahoo! Video, metacafe, Reuters.com, and many other news providers.